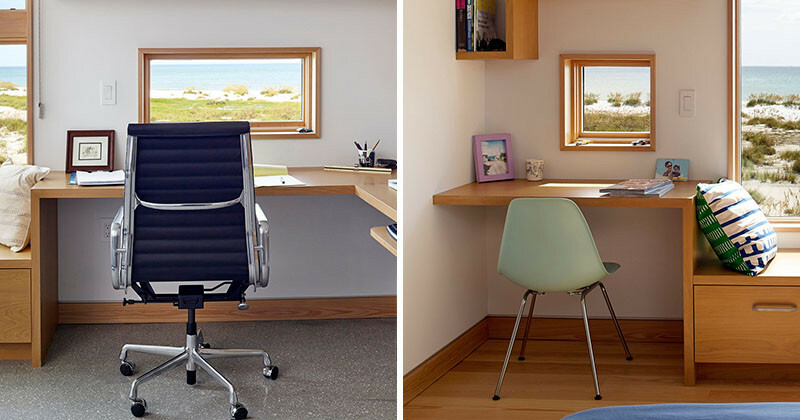 When Traction Architecture were designing this beachfront home in Anna Maria, Florida, they included little wood-framed windows in two of the desk areas, that perfectly frame the view of the beach, allowing you to daydream when you should be working or studying. 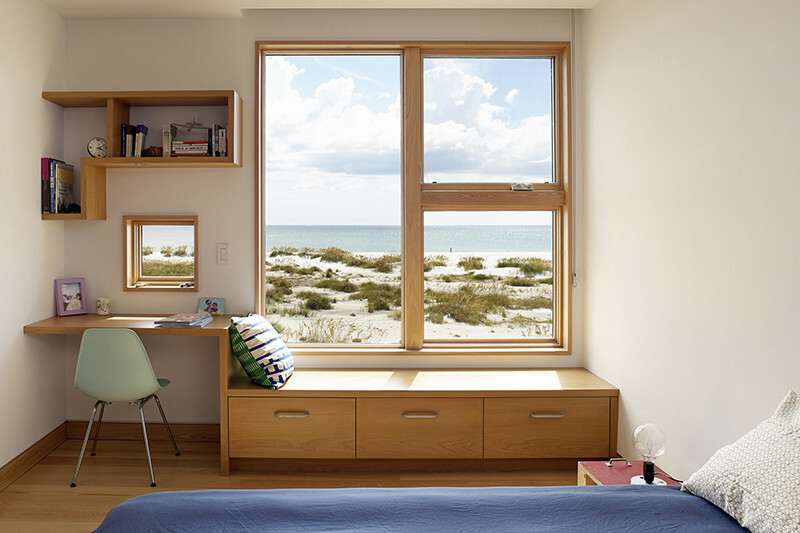 And if daydreaming through a small window isn’t enough for you, both rooms also have built-in window seats (with storage!) 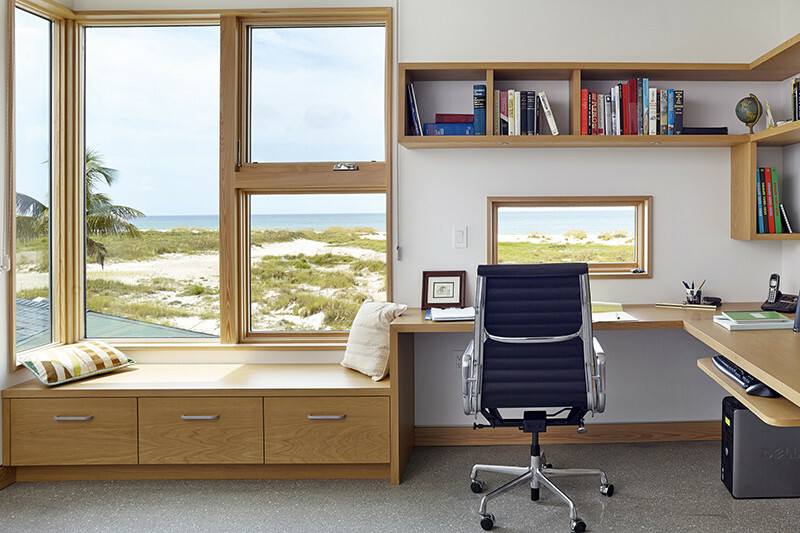 to sit on and enjoy even larger windows of the beach view.